The great atonal pioneer was in fact among the first of Europe’s artistic luminaries to flee the Third Reich and find refuge in the United States, ultimately settling in Los Angeles, where he lived until his death in 1951. Having been forced out of the most respected musical teaching post in Germany, the composer fashioned a poignant second act in a very foreign City of Dreams, a place that his fellow émigré Bertolt Brecht described as a “mausoleum of easy-going.” In Schoenberg’s life, it was a period — full of musical, political, and spiritual convulsions — that could one day become the stuff of a great historical novel. Already this fall, it arrives in the form of a newly minted opera. 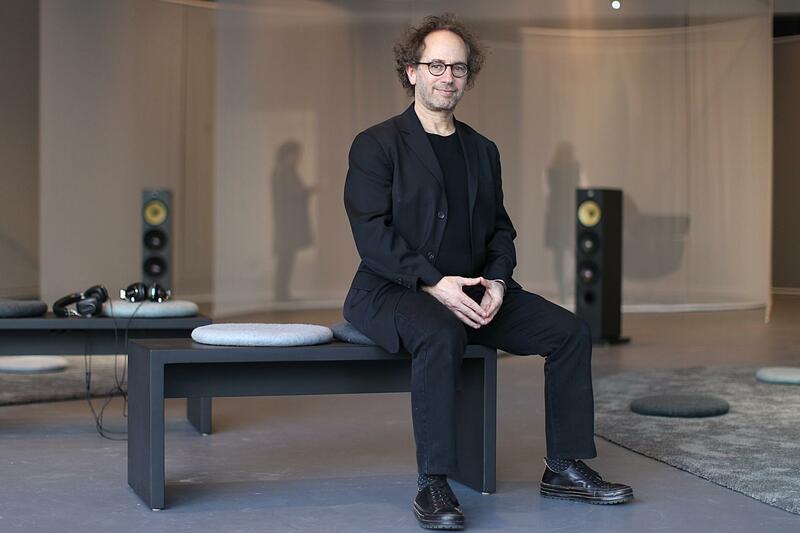 “Schoenberg in Hollywood,” a work by Boston-based composer Tod Machover, will receive its world premiere Nov. 14 at Emerson College’s Paramount Center. A commission of Boston Lyric Opera, the piece — which the composer describes as “quirky, unusual, highly personal” — is at once an earnestly admiring tribute and an unconventional biographic fantasia, one that imagines Schoenberg looking back on his own life through the celluloid conventions of his adoptive home. A few years ago, after receiving a green light from BLO’s general and artistic director Esther Nelson, Machover turned to a longtime creative partner, the British theater director Braham Murray, as director. Murray in turn conceived of a dramatic scenario that could serve as a vehicle for bringing Schoenberg’s life to the stage. As a point of departure, the opera would incorporate a real-life event, one of the most fabled cultural collisions in the history of modern music: the 1935 meeting of Schoenberg and Irving G. Thalberg, the legendary executive and producer at MGM. It was a moment when many emigres of illustrious reputation were making previously undreamed of concessions to simply get by in Depression-era America. Stravinsky would later write a “Circus Polka” for elephants. One of Vienna’s most illustrious orthopedic surgeons allegedly took on work as a Los Angeles masseur. And Schoenberg, who was teaching long hours, was persuaded by friends to consider the financial freedom that might come with a well-paying commission for a Hollywood film score. And so he agreed to a meeting at MGM. For his part, Thalberg hoped the great enigma of modern music would consent to create the score for his next would-be blockbuster, an adaptation of Pearl Buck’s novel “The Good Earth.” Apparently the meeting got off to a rocky start after Thalberg mentioned having recently heard Schoenberg’s “lovely music” on the radio. “I don’t write ‘lovely’ music,” the composer shot back. And things did not improve from there. Schoenberg attacked the quality of most film music, and complained about the numbing uniformity of the dialogue. If he were to write music for a new film, he told Thalberg, he would insist on complete control of its entire sound world — including the actors’ lines. Schoenberg seemed to be hoping they would declaim the script in the expressionist speech-song style of his own “Pierrot Lunaire.” Surely that was a bridge too far for Thalberg, but he nonetheless insisted that Schoenberg go home with a copy of the screenplay, and a request to think more about it. Here is where “Schoenberg in Hollywood” departs on its own dramatic journey. And so, after depicting an imagined version of the Schoenberg-Thalberg meeting, the opera “plays back” or alludes to various episodes of Schoenberg’s life: his birth into a Jewish home during a hope-filled moment in European Jewish history, his conversion to Protestantism as a young composer, his “emancipation of dissonance,” his discovery of the 12-tone method, his rise to world fame, his confrontations with anti-Semitism, and his bitter journey into exile. And, in what is perhaps the opera’s most unconventional move, these dream-like episodes are presented through the prisms of classic Hollywood film styles, from silent movies to film noir to westerns. Robson concedes there is a deep paradox in presenting the life of Schoenberg, the archetypal high-modernist, through the conventions of an avowedly populist medium like film. Yet in his view, the gesture is of a piece with a central tension that animated Schoenberg’s own life and work: how to retain the purity of one’s own artistic ideas while at the same time communicating them to a wider public. According to the opera’s creators, “Schoenberg in Hollywood” aspires to do both. And that will also apply to the staging’s visual language. For Machover, the score also represents a delicate balancing act, a search for “a musical language that could be poised on the razor’s edge between accessibility and complexity.” The composer wanted to avoid what he called “pastiche,” but he has drawn deeply from Schoenberg’s own music for a culminating sequence. It occurs after the opera’s madcap dash through various film styles seems to sputter out in exhaustion. None of these genre conventions, the libretto suggests, can ultimately contain the once-in-a-century uniqueness of Schoenberg’s art. A final scene, entitled “Schoenberg’s Vision,” tries to summon its dimensions and convey them to an audience that will surely have entered the theater with varying degrees of familiarity with Schoenberg’s work.